MainOpEdsIs Sweden demonized by telling the truth? Is Sweden demonized by telling the truth? Perhaps the ambassador can explain what successive Swedish governments have been doing for the past fourteen years in trying to eradicate anti-Semitism? A few weeks ago, Swedish Ambassador to Israel, Magnus Helgren, said in an interview that there is a tendency in Israel to demonize his country ever since it recognized Palestine. Few people outside his country know much about contemporary Sweden or its past. As a contribution to the debate, here are a few important facts concerning Sweden’s attitudes toward Jews and Israel. Very few heads of West European governments have compared Israel to the Nazis. One of those that did is Sweden's best known post-war Prime Minister, the Social Democrat, Olof Palme. This was confirmed to me years ago by former Deputy Swedish Prime Minister, Per Ahlmark. And then, Sweden has a record of non-prosecution of Nazi war criminals. Simon Wiesenthal Center Nazi hunter, Efraim Zuroff, wrote that in 1999 a Swedish journalist, Bosse Schon, revealed that at least 260 Swedes volunteers served in the Waffen SS. Among them were several who, late in the war, guarded Hitler in his bunker in Berlin and at least one -- Harald Sundin -- who served in Treblinka, participated in executions and was still alive and living in Sweden. Sweden has undertaken no action against any of these criminals, nor has it done so against important Baltic Nazi criminals who fled to the country. Collaboration? Dutch authors, Gerard Aalders and Cees Wiebes, published a book whose title translates as 'Business at any price: The Wallenbergs'. This book documents the collaboration with the Germans during the Second World War of the powerful leading Swedish enterpreneurs, Jakob and Magnus Wallenberg. The authors claim inter alia that the Enskilda Bank, which the Wallenbergs owned, made large scale purchases of securities which were stolen from Dutch Jews. Aalders and Wiebes stated that the bank knew that it was buying stolen property. Sweden established a Commission on Jewish Assets. One of its major conclusions was that after the war the moral questions of Swedish business relations with Nazi Germany were never raised in parliamentary or government discussions. In 2004, four former chairmen of the Swedish Jewish Community: Salomo Berlinger, Stefan Meisels, Torsten Press, and Willy Salomon, wrote a letter to the editor of the Israeli daily Haaretz saying: "The number of verbal and physical attacks against Jews has increased in Sweden. Youngsters in schools give evidence of how they hide the fact of being Jews, as they are attacked both verbally and physically. Teachers testify that students refuse to participate in classes when Judaism is studied. Survivors report feelings of fear. The police stand passively by when extremists attack pro-Israel and anti-racist manifestations." Nowadays, fourteen years later, Ambassador Helgren claims that Sweden’s government is taking the fight against anti-Semitism seriously, but that it will take a long time to deal with it. Perhaps the ambassador can explain what successive Swedish governments have been doing the past fourteen years in trying to eradicate anti-Semitism. Can he clarify whether they did not really make an effort or whether they were incompetent? The widespread anti-Semitism in Sweden was even noticed in 2012 by Hannah Rosenthal, the U.S. government special envoy for combating anti-Semitism. 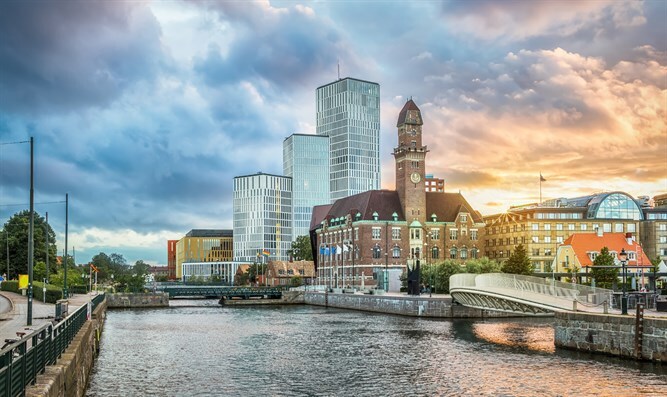 She then visited Malmö, the third largest city in Sweden. 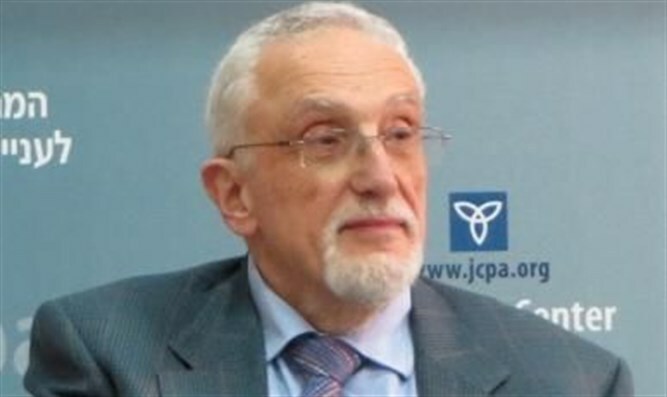 Rosenthal spoke out about anti-Semitic statements made by the then Social Democrat Mayor Ilmar Reepalu. She also remarked that under this mayor, Malmö was a “prime example” of “new anti-Semitism” as anti-Israeli sentiment served as a guise for Jew-hatred. The anti-Semitic incidents in the town were going on already for several years. A record number of complaints about hate crimes in the city – 480 in total -- from 2010 through 2011 did not lead to any convictions. There were major anti-Israeli demonstrations in Sweden during Israel’s Operation Cast Lead in 2009. Prominent members of the Social Democrats took part in hate demonstrations against Israel. Mona Sahlin, then the party’s leader, participated in a rally in Stockholm where Hezbollah and Hamas flags were flown and an Israeli flag was burned. Jan Eliasson, the former foreign minister and Wanja Lundby Wedin, chair of the Swedish Trade Union Confederation also took part in that event. A 2013 study of the EU affiliate, Fundamental Research Agency (FRA), found that, among the countries investigated, Sweden had the highest percentage of Jews who were hiding their religious identity in public. Former Swedish Prime Minister Göran Persson took the praiseworthy initiative of the 2000 Stockholm International Forum on the Holocaust. This gathering led to the establishment of the International Holocaust Remembrance Alliance (IHRA). The most common current working definition of anti-Semitism is that of the IHRA. Its acceptance in 2016 required the agreement of all 31 member countries of the alliance. These include Sweden. Swedish Foreign Minister Margot Wallstrom has asked for an investigation into the killing of terrorists by Israel. She hasn't made such requests from other democratic countries where terrorists have been killed. According to the IHRA definition, by singling out Israel, Wallström committed an anti-Semitic act. If the Swedish Government is really fighting against anti-Semitism, as the ambassador claims, it should see to it that its ministers do not commit anti-Semitic acts. The promoters of BDS in Sweden exclusively incite in this way against Israel. This makes their actions anti-Semitic. Ambassador Helgren supports the right of the anti-Israeli BDS promoters to commit such anti-Semitic acts. That makes him a defender of anti-Semites. Ambassador Helgren says that the labelling of products from Judea and Samaria is carried out because Swedes want to know where the products originate from. There is no such labelling in Sweden of products from east Timor, northern Cyprus, Western Sahara, occupied Tibet, western Morocco and other occupied territories. This makes the Swedish request for labelling of 'West Bank' products an anti-Semitic act. It is yet another example of Ambassador Helgren being a defender of anti-Semitic acts. Op ed articles should not be excessively long. Therefore many other issues of Swedish bias against Jews and Israel cannot be mentioned here. But rest assured, they exist.